I am greatly relieved that the universe is finally explainable. I was beginning to think it was me. Thus begins Strung Out, Woody Allens hilarious application of the laws of the universe to daily life. 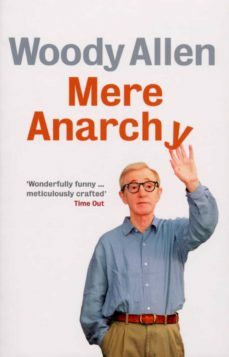 Mere Anarchy, Woody Allens first collection in over 25 years, features eighteen witty, wild and intelligent comic pieces - eight of which have never been in print before. Surreal, absurd, rich in verbal play, bitingly satirical and just plain daft in the mode we have grown to love from his finest films, this flight-of-fancy collection includes tales of a body double who, mistaken for the films star, is kidnapped by outlaws; a pretentious novelist forced to work on the novelisation of a Three Stooges film; a nanny secretly writing an expose of her Manhattan employers; crooks selling bespoke prayers on eBay; and how to react when youre asked to finance a Broadway play about the invention and manufacture of the adjustable showerhead.